The headphone jack is an analog connection originally designed for old-fashioned telephone switchboards in the early 20th century. It can’t transfer nearly as much data as a digital connection like a Bluetooth or Lightning connection. Plus, the headphone jack only sends information one way: from power source to speaker. But that’s all beside the point. The most obvious reason why the headphone jack had to die is simply because the new wave of wireless headphones will be more convenient and enjoyable to use for everyone. For most people, wires are obsolete. The headphone jack has been outmoded for decades. Built long before the advent of digital audio files—the predominant form of music today—the headphone jack was known for its simplicity and versatility. Historians have traced its origins all the way back to 1878, when primitive versions of the technology were used by telephone operators. The audio port managed to survive a global economic crisis, two World Wars, and even the digital revolution. But enough is enough. New technology has arrived, and it’s undeniably better. Audeze CEO Sankur Thiagasamudram was one of the first people to recognize the shortcomings of the 3.5mm headphone jack, and he decided to bet big on the next generations of audio ports. The Audeze EL-8 Titanium headphones were the company’s first to use the lightning connector and contain a digital signal processor, digital-to-analog converter, and amplifier in the headphones, all of which are precisionused to make the music sound better before it hits your ear. To put it more simply: Everything is digital now. The music players, music files, and the equalizers—every step of the process is handled by computers. It makes absolutely no sense to have a dumb metal 3.5mm cable connected to advanced devices like the iPhone. Headphones can do more with the digital signal produced by a lightning cable or wireless Bluetooth connection. Wireless headphones do offer more freedom, but that freedom comes with a tradeoff. They need batteries, and batteries need charging. Bluetooth headphones need to be paired to devices, and pairing can be annoying. And even if you get a device paired, the audio might drop out from time to time. In short, wireless tech still has a ways to go. The thing is, aside from the annoyance of charging and pairing, wireless headphones aren’t much different than their wired counterparts. Apple obviously believes well-executed wireless is the future, and by eliminating the jack, it opens a lot of incentive for manufacturers to iron out issues and invest in creating really reliable products. The company that nails it could potentially own the ears of millions of iPhone users. And perhaps the most important reason the jack had to go is purely practical. Ditching the relatively beefy headphone jack opens up space where more advanced tech can be added to the iPhone. He’s right. This is exactly what Apple does best: it single-handedly abolishes outdated technology standards that are begging to be shelved. Apple did it with the 3.5-inch floppy disk, disk drives in your laptops, and Adobe Flash. Now, it’s doing music-lovers a favor by killing a cable that’s had it coming for a long time. This makes room for better technology and new possibilities. 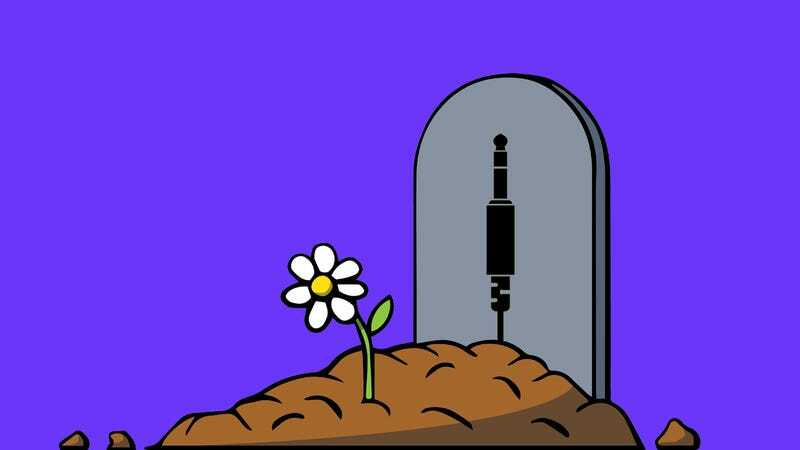 So the headphone jack is finally dead. And the saddest part? No one is going to miss it.